Castelo Móveis is a family business engaged in the manufacture of wood furniture in classic style since 1980 in Portugal. You can make a bold statement about your sense of style with Castelo Móveis's stunning furniture. Be it for your lounge room, dining room or bedroom, each of these designs is sure to be a talking point for anyone who visits. With intricate designs and attention to detail, your new furniture will light up any room. The Castelo Móveis company started its activity dedicated to the manufacture of all types of wood furniture with classic style, working with several distributors in the Portuguese Market. Browse through wide range and try out the designs in real life. We will be happy to help you match your new furniture to your current décor. 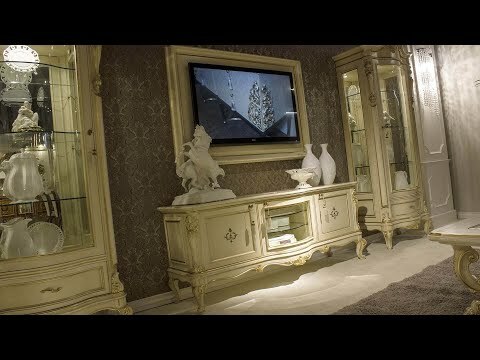 In catalogues of Castelo Móveis You can find sideboards, shelves, showcases, desks, center tables and furniture TV, tables room and dining rooms. Castelo Móveis is a reference in the Furniture Classic Sector, developing parts that can coexist harmoniously in Modern and Functional Homes, along with other contemporary pieces of furniture. Castelo Móveis gives a touch of class and exclusivity in the decoration of your home.